Live music from Spanner Jazz Punks and Jessica Marlowe & The Wildtracks plus a pre-recorded live set from The Spanner Big Band. 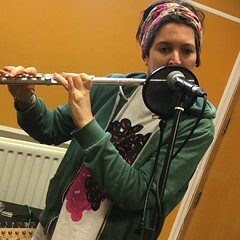 This entry was posted in dexter bentley, hello goodbye show, Hello GoodBye: Playlists, resonance fm and tagged dexter bentley, hello goodbye, jessica marlowe and the wildtracks, resonance fm, spanner big band, spanner jazz punks. Bookmark the permalink.